Utada Hikaru's "Hikari (Ray of Hope)" EP was announced for Japan yesterday with pre-orders opening up on iTunes. Today, orders have opened up on iTunes worldwide! 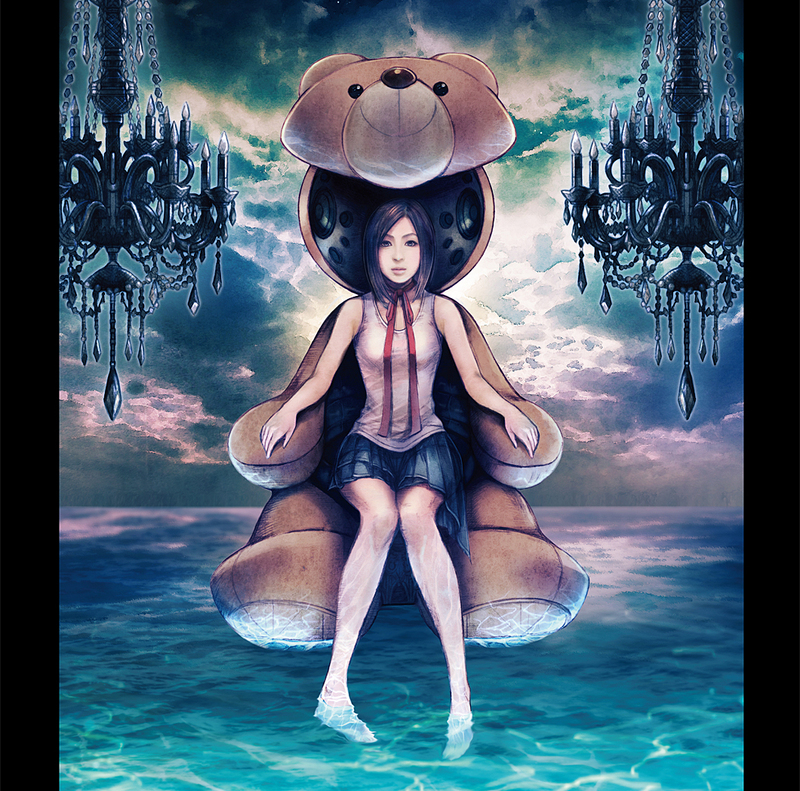 Serving as the theme song to Kingdom Hearts HD II.8 Final Chapter Prologue, the Ray of Hope remix of Simple and Clean serves as the featured song on the upcoming EP. The EP also includes Hikari (Ray of Hope Mix), as well as P's Club Mix of both songs. The album is expected to be available on January 11th 2017. If you live in North America, you can preorder the EP for $3.99. If you live in Spain, you can preorder the EP for 2,99€. If you live in Australia, you can preorder the EP for $3.99. For those who live in a region not linked above, you can search for Utada on iTunes and the album should be available for Preorder. I'm use to $2.19 for one song so $4 for four songs is quite a bargain in Australia! well, yeah, considering (most?) people don't always stock up money on their account, so you have to get yourself a â‚¬15 iTunes thingie if you want to buy one album (but who knows, maybe the rest of the money will come in handy lol). I'm curious, why is it more expensive in the German store compared to the Spain Store? I did not expect this. I went to pre-order it on our store and the price is even lower in Greece. 2 â‚¬. I really want to hear a sanctuary remix! I hope they do one! Well, that is because Nomura drew it with the express intent to embody Utada + Kingdom Hearts lol He even gave her a HUD and UI. If I wasn't lazy I'd insert the "Take My Money" meme here. At the risk of sounding like a spoiled brat though, I don't really understand the purpose of releasing digital music for pre-order, especially a full month in advance. Like these remix tracks have obviously been finished for ages, just release it now or wait to announce it lol. We are Moogle! Hear us...kupo? There you go, fixed it for you. It's just another way of getting money early. Don't worry about feeling like a spoiled brat, I completely understand as there's often times when we're like 5 days out from a show on Netflix dropping and im like "it's done just release it". Same with FFXV, we knew the game was printed and shipped out. People are already buying it. 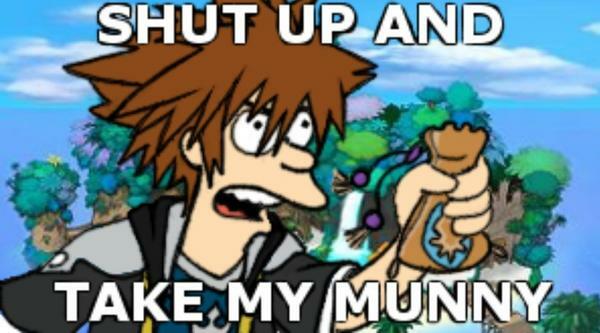 C'mon Square just tell everyone to release it. Thank you my relatively less lazy friend! Yeah, I mean it's no skin off my nose and I was already politely impatient for a proper release, so it's nice to have a date to look forward to. I'm just baffled at this trend of opening up pre-orders for content which is delivered via a near instantaneous transaction with no risk of depletion in stock. I guess if they went ahead and released it now they couldn't bank on all that $$$ a niche remix soundtrack of a song everyone has owned for a decade-and-a-half will bring them in early January. It's the logical business move. Just downloaded it. It's... certainly something. Well, those are songs. Kingdom Hearts Extras OST with the short versions when? I just think we've been spoiled by the short cuts in 2.8. The long cuts are...something.